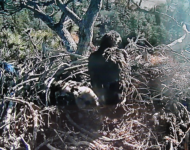 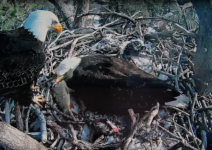 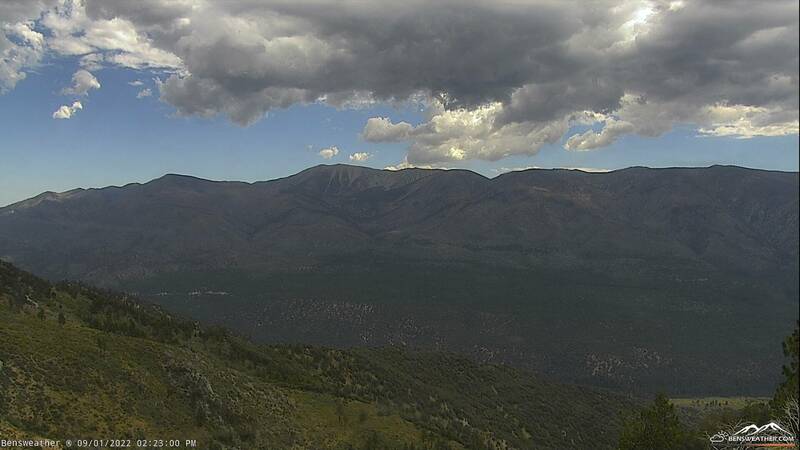 Big Bear, CA – Big Bear’s full-time bald eagle couple, Jackie and Shadow, are proud parents of two eaglets. 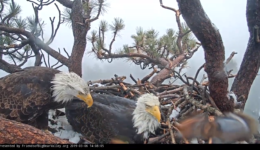 Jackie laid her first egg on March 6th and the second one shortly thereafter. 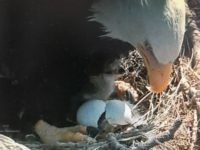 The first eagle broke through it’s shell, with some help from an impatient Shadow, on Sunday morning, April 14th, with the second eagle emerging this morning.